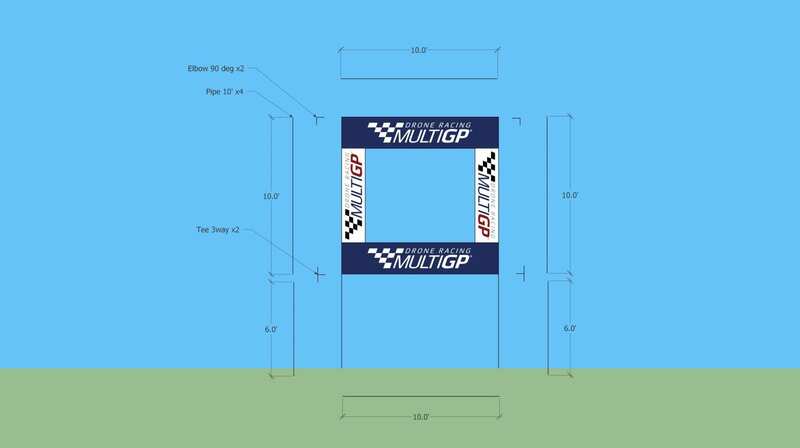 On this page you will find all the standard MultiGP drone race course obstacles, their dimensions, and how to build them. 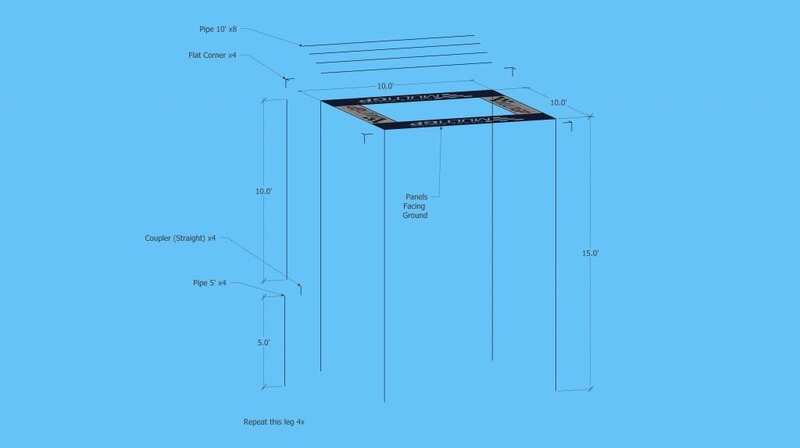 Please view each obstacle below for their dimensions and individual parts. 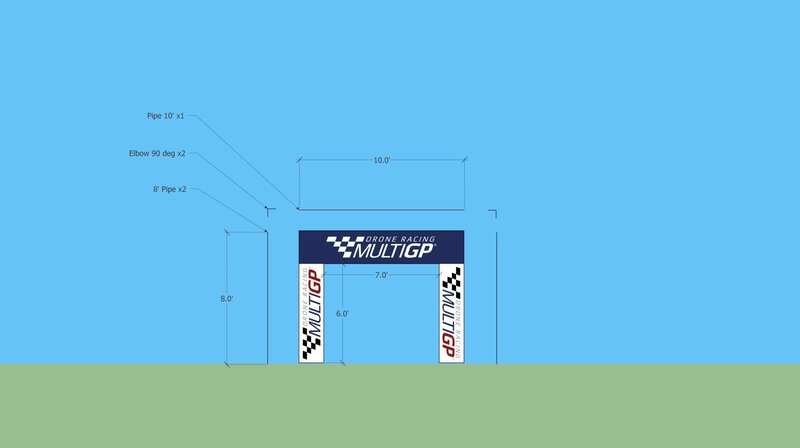 Looking for the 2018 Regional Series track diagrams? 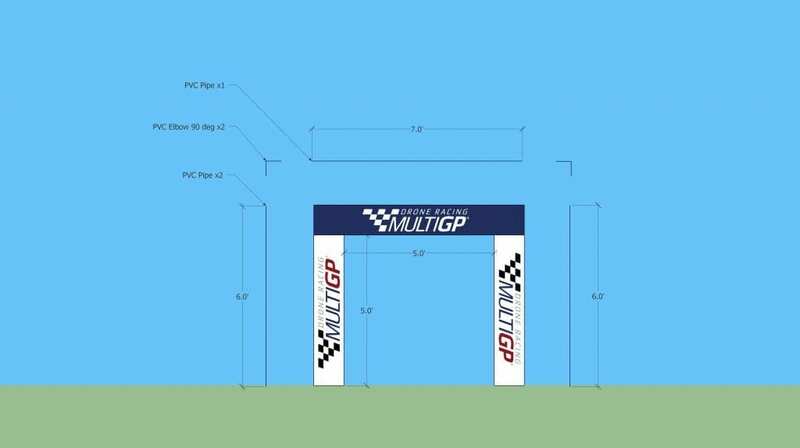 This is the standard issue MultiGP Chapter gate. 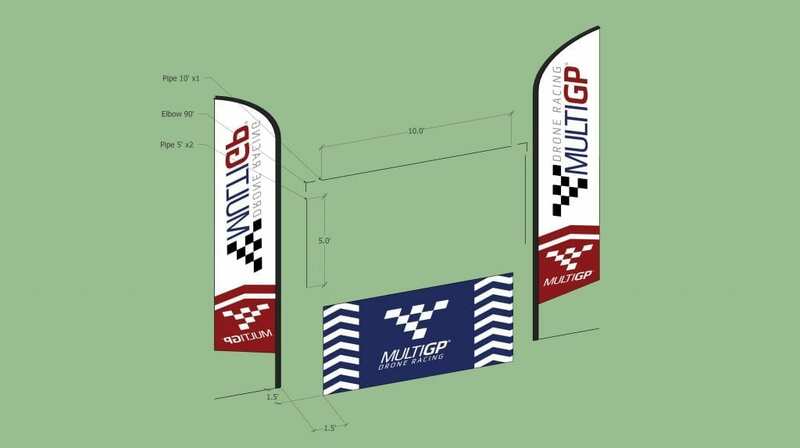 It features durable vinyl mesh panels and creates a 5×5 opening. We suggest PVC pipe for a lightweight yet durable gate. A tower is a standard gate elevated 5 feet off the ground. 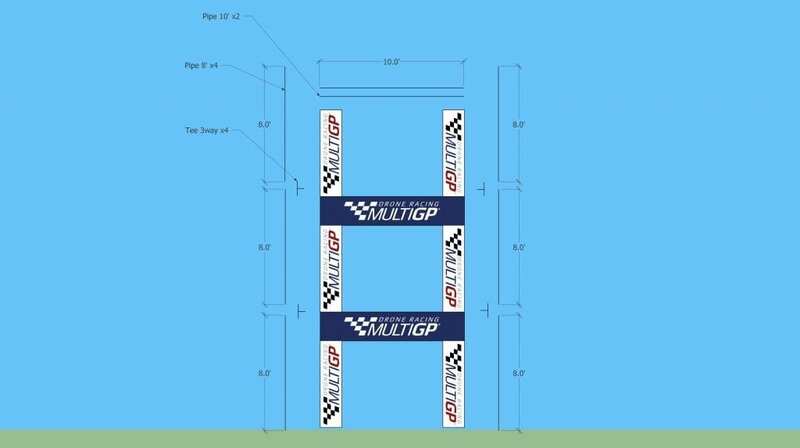 A double gate tower is two standard gates stacked on top of each other. A ladder is 3 standard gates elevated stacked on top of each other. 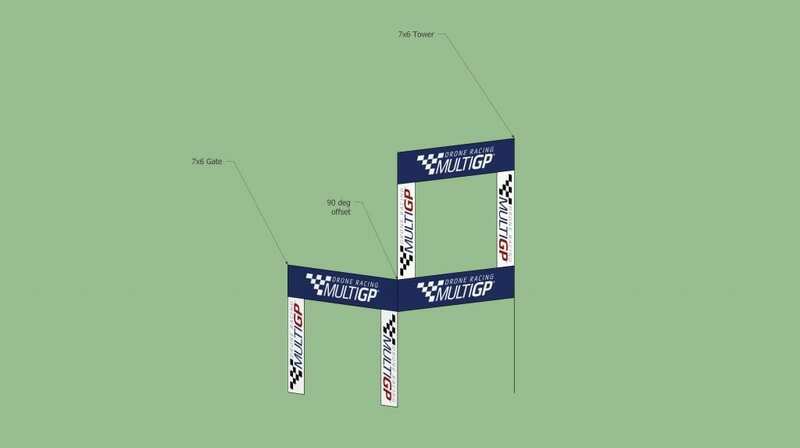 This size of gate is specifically made for large, Championship-caliber races. 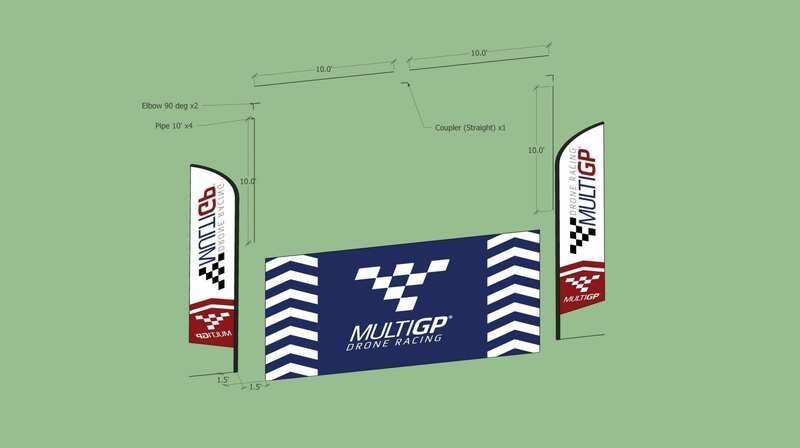 The larger 7’x6′ opening encourages better racing and less crashing as top-level drone racing pilots battle for position at high speeds. 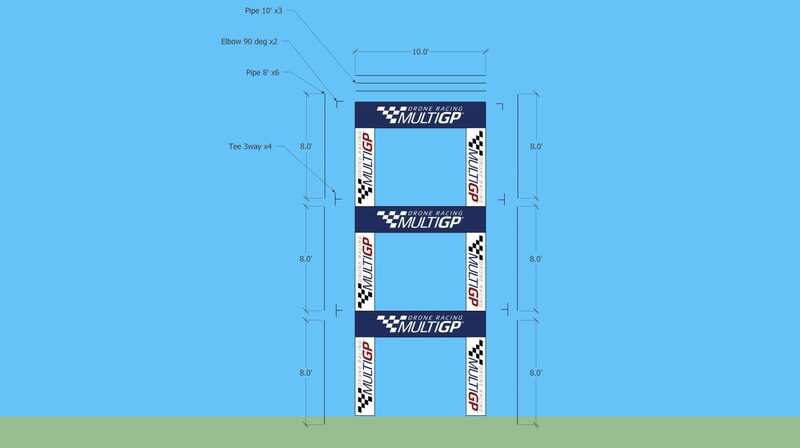 A tower is a standard 7×6 gate elevated 6′ off the ground. 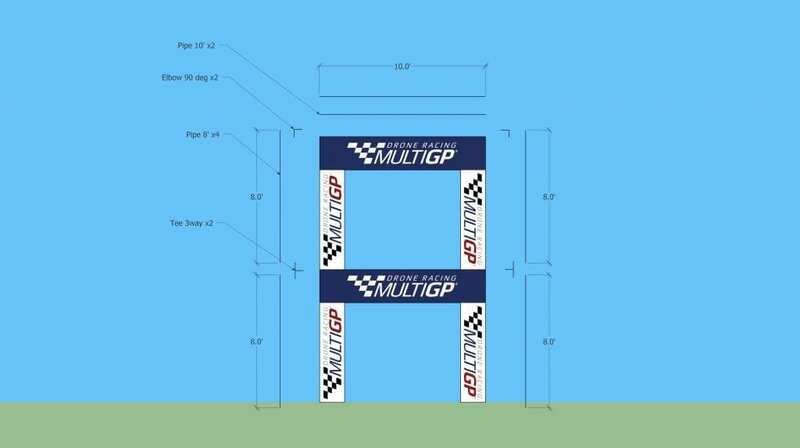 Double Gate Towers are built from two 7×6 gates stacked on top of each other. Ladders are built by stacking 3 standard 7×6 gates on top of each other. Pilots then orbit up or down the ladder, adding an interesting flight line to your race course. This ladder is built like the standard ladder but without the topmost panel. 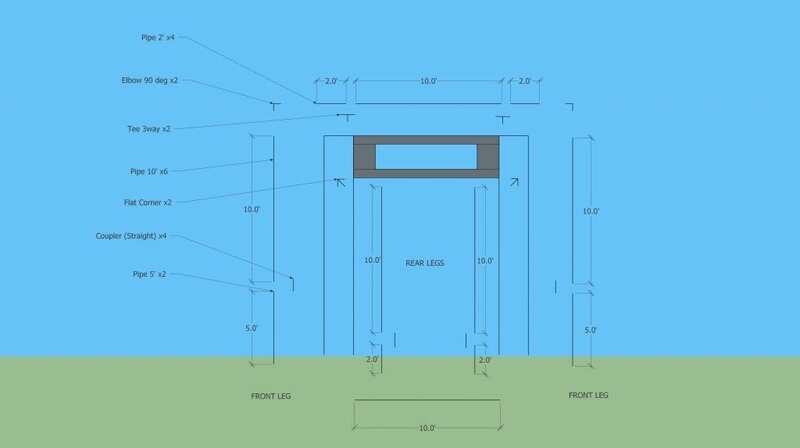 The dive gate is elevated 15′ and features a slight angle to facilitate entry into the gate. 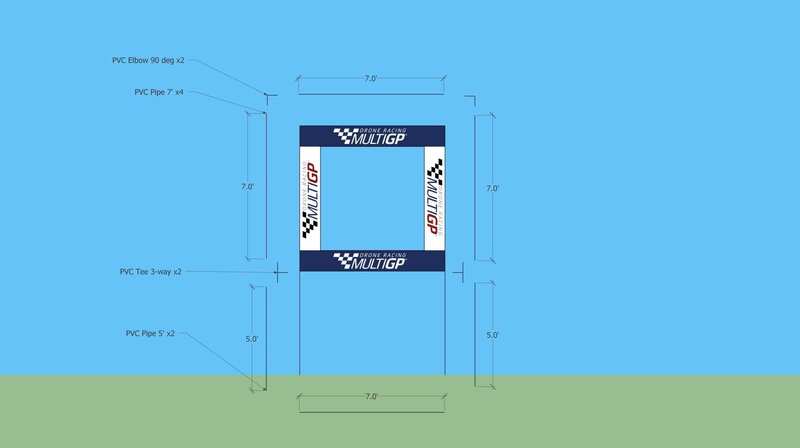 The launch gate forces pilots to punch the throttle and launch upwards through a 7×6 opening. The launch gate is not angled like the dive gate. Please note: panels should be facing the ground since pilots will be entering the gate from below. 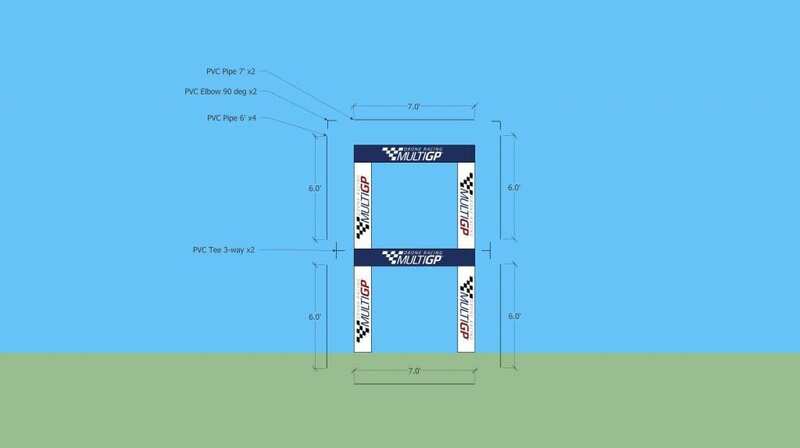 The Split-S gate forces pilots up and over the gate, and not around the sides. 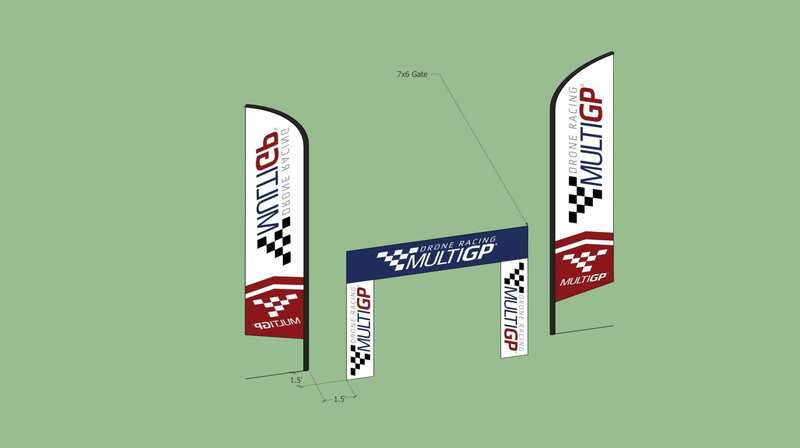 The flags enforce this flight line and are 1.5′ behind and to the side of the gate. This means pilots must perform a split-s maneuver or a slower 180 degree turn to navigate this obstacle. 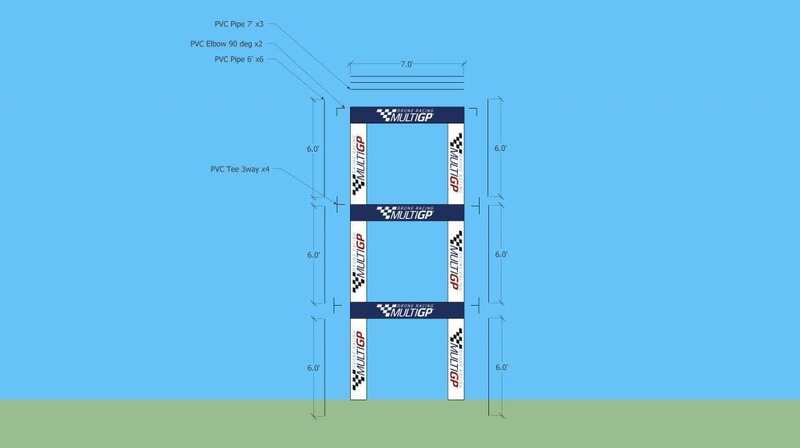 The offset 90 gate is a combination of a standard gate with a standard tower, but joining them at a 90 degree offset. Pilots enter the tower, and exit via the lower gate. Hurdles are great for slowing down racers and forcing some more technicality in their piloting. 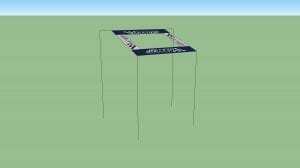 Hurdles are often used with gates to create quick up and down successions that both slow down and challenge the pilot. 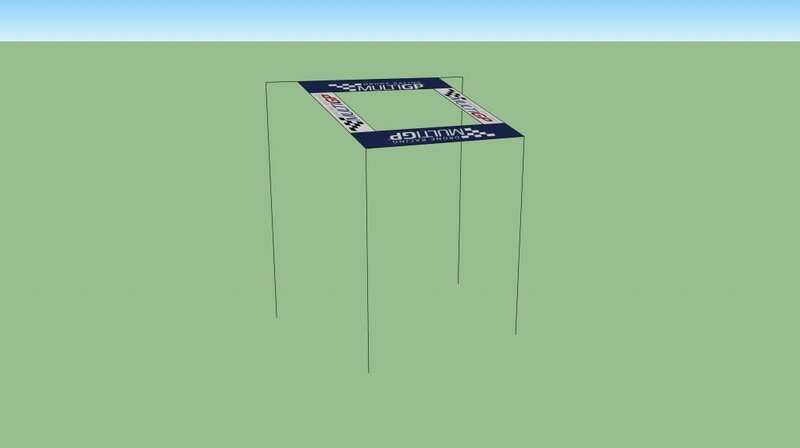 Just like the hurdle but massive! This giant wall creates an amazing backdrop for the starting line and acts like a supersized hurdle, making pilots elevate their drones in order to clear it.